An evening dedicated to blossoming in our feminine power and creative expression. 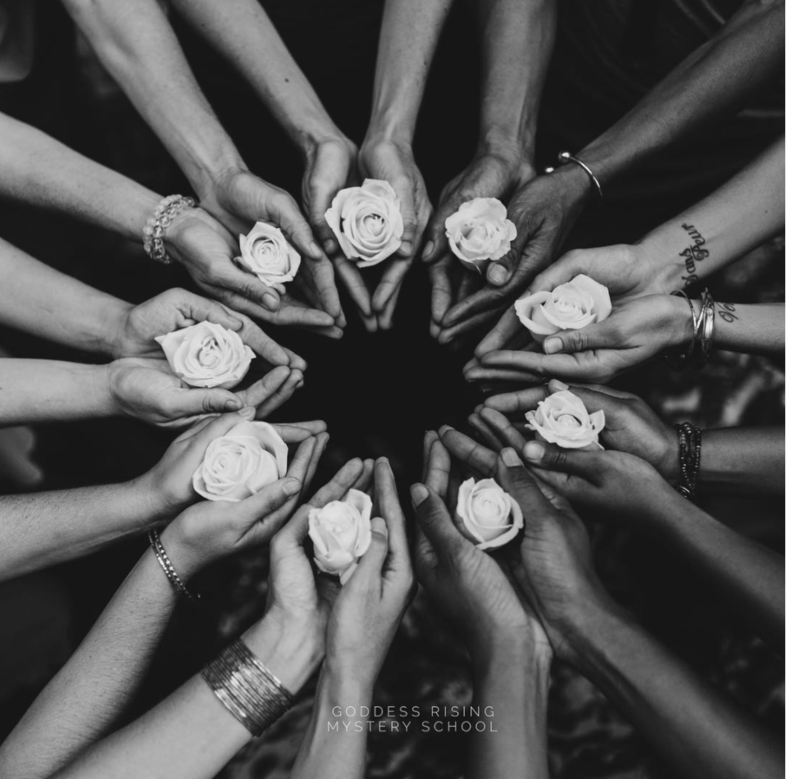 On the Full Flower Moon, you are invited to gather in a sacred Sisterhood as we blossom together in our feminine power and allow the gift of our creative expression forward. The divine feminine is beginning to unlock her voice, expression and magnificence. In this ceremony we will honour this process of breaking through previous fears of stepping into your voice, your knowing and expressing what sometimes scares you the most: your fears or your gifts. For years, women have experienced their voice not being heard. Or as an equal player in many conversations, particularly in the work sphere. While we have made incredible strides forward, the times are now changing. Women are choosing to say "actually, I am heard" and "actually, I have intelligence and a powerful knowing that will serve this situation." We are learning how to set boundaries, that are respected and how to let in the situations that truly honour our voice and our magnificence. In this ceremony we will honour this process of the divine feminine blooming. We will dive deep and explore what needs to be unearthed to help her root down into her strength, love her masculine side, and trust that her expression is a beautiful one. As we open our truth, our dreams or the projects we love most to the world -- as the bud starts to open -- we can encounter a dialogue of fear within us. We may question if it will be enough or accepted? And if we can really just put out there what we want and believe it will work? In this ceremony, we will embrace the fear that arises on the precipice of expressing your creative dreams or next level of them into the world. We will build a level of comfort in that place, so we begin to push the edge of our expression in the world. We stay in evolution. As the bud opens, it encounters resistance and yet emerges as a beautiful flower. We will see how temporary the resistance is, as we step into the blossoming of our creative self. As we do so, a new world comes into bloom, where the divine masculine and divine feminine are perfectly honoured within and around us. We break boundaries, and help our feminine essence land in full expression - once again - on this plane. Sisters let's go deep, and blossom together as flowers opening their petals to the sun! The Flower Moon was named by many Native American tribes after a period of warmer temperatures and flowers beginning to bloom. It is a time when fertility is high. This moon is also called the Mother's Moon, Milk Moon and Corn Planting Moon. Reciprocity: $40 early bird (until 11:59 pm May 16 enter promo code "FLOWER") / $44 advance (until 4 pm May 27 ) / $55 door. HST not included.